Synopsis: Polyneices, son of Oedipus and brother of Antigone and Ismene, is refused burial by their uncle King Creon for fighting his brother Eteocles in the Theban civil war. 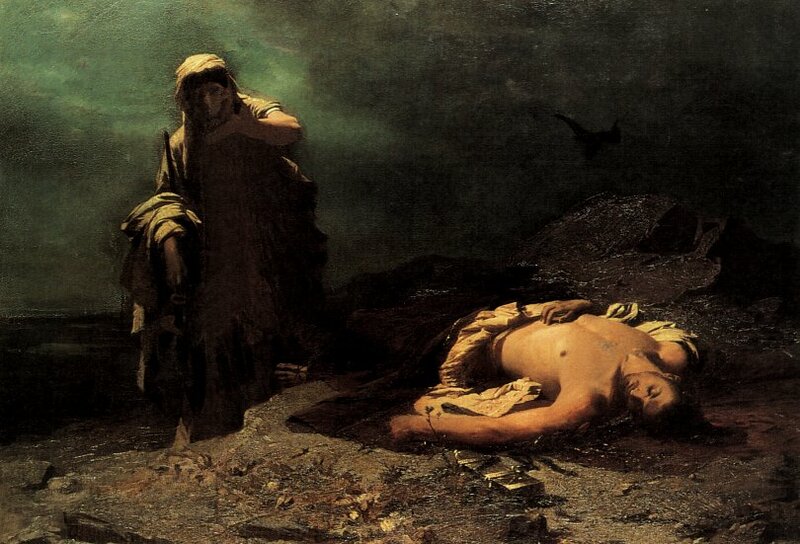 Antigone refuses to allow this transgression against divine law – the gods decree that all bodies must be buried – to occur and condemns herself by covering her brother in dust. Creon, headstrong with his own power, refuses her clemency and orders her to be walled up inside a mountain to die for her disobedience. Her fiancee, Creon’s youngest son Hamon, plees on her behalf to no avail. The city begins to dissent at the King’s treatment of Antigone and, as its barricades are threatened, Creon travels to the mountain to reverse his decision. His arrival is too late: Antigone has hung herself with a sheet and Hamon has fallen upon his own sword at her feet. What moved me: if Antigone were stone, then her gentle sister Ismene is water. Unable to face the punishment she would receive for burying her brother, she declines Antigone’s plea for help. But there is a subtle strength in her, like a rich seam of metal, which seems more durable than her sister’s headstrong brittleness. I won’t ask you again. am following the custom and burying my brother. laugh at shame and live. elms and rooftops of home.